In this paper we propose the structure of the groundwater monitoring system. The monitoring system includes observation subsystem, subsystem of receiving data, storage subsystem, the subsystem assessment of groundwater, prediction subsystem. Subsystem of receiving data contains modules for automatic and manual receiving data, pre-processing, data conversion and data validation modules. Data validation module can detect errors in the stage of receiving data and send corrective action in observation subsystem. Storage subsystem contains a database of observations and database of models. Database of models used to make predictions changes in the state of groundwater. Subsystem assessment analyzes information from a database of observations and generates reports. The concept of groundwater state monitoring. – M: Ministry of Natural Resources, 1992. – 12 p.
Guidelines on the organization and production of observation mode level, pressure and flow of groundwater. – M: VSEGINGEO, 1983. Guidance on the production of observation mode, the temperature of groundwater. – M: VSEGINGEO, 1983. Sharapov R.V. Monitoring exogenous processes // Engineering industry and life safety. 2012, № 2. – P.39-42. Sharapov R.V. The transition from the technical to the natural-technical systems // Engineering industry and life safety. 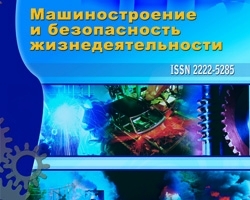 2012, № 2. – P.43-46. Sharapov R.V. Principles of groundwater monitoring // Engineering industry and life safety. 2012, № 3. – P.27-30. Shestakov V.M. Groundwater monitoring – the principles, methods, problem // Geoecology. 1993, № 6. – P. 3-12.